Vivian Leva’s voice is the sound of living tradition. Raised by parents who absorbed ancient tunes and ballads during visits to legendary old-time musicians, Leva grew up steeped in the Appalachian and country music of her Lexington, VA home. 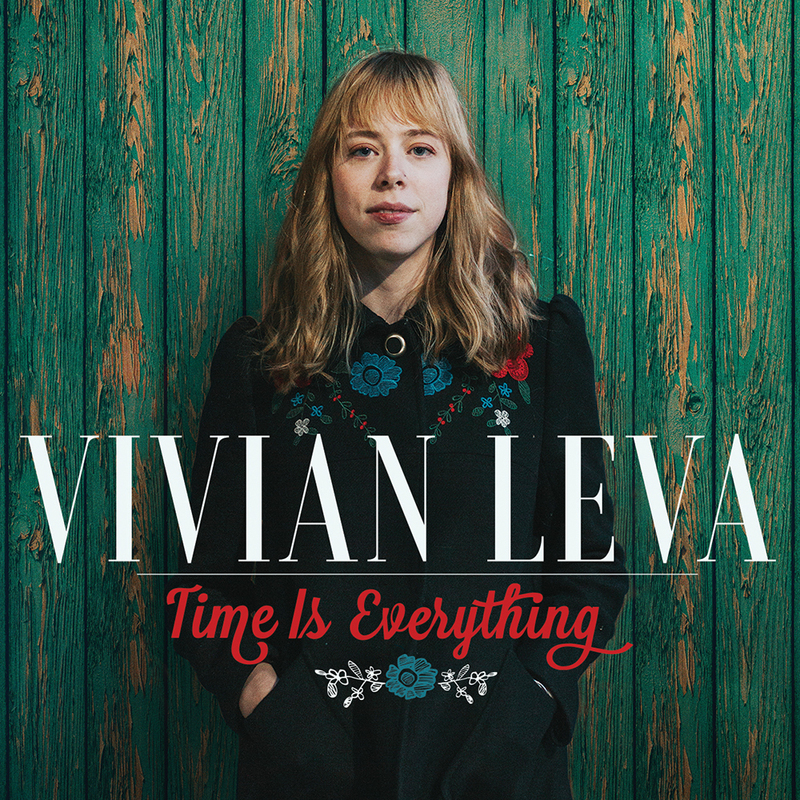 On Time Is Everything, her label debut, Leva earns a spot in the lineage of great neo-traditional songwriters like Gillian Welch and Sarah Jarosz. And much like these singers, Leva finds inspiration in the past without being stifled by it. Though still in college, Leva’s musical roots run deep. She grew up going to fiddle festivals with her parents, both acclaimed roots musicians themselves who perform as the duo Jones & Leva. Her father, James, is a respected multi-instrumentalist who learned knee-to-knee from old-time legends like Tommy Jarrell and Doug Wallin, while her mother, Carol Elizabeth, picked up bygone songs from a now lost generation of singers and recorded with the pioneering bluegrass duo Hazel Dickens and Alice Gerrard. Leva soaked up this influence at a young age, and, at age 9, began penning songs and performing with her father at venues like the prestigious Carter Family Fold. The album features eight originals plus a cover of Paul Burch’s plaintive waltz “Last Of My Kind,” and a re-composed version of Virginia ballad singer Texas Gladden’s “Cold Mountains” with a new chorus written by Leva and Calcagno. For Leva, the kernel of a song often appears spontaneously—a story from a close fre of a TV show, a new guitar tuning. “If I specifically sit down to write something, I usually don’t like it. But I play around with different starting places.” Once the scene is set, however, the song is often complete in less than an hour. “It’s always hard to express real feelings without being overly sentimental, to balance a specific story and the universal.” Rest assured, this album strikes the balance perfectly.